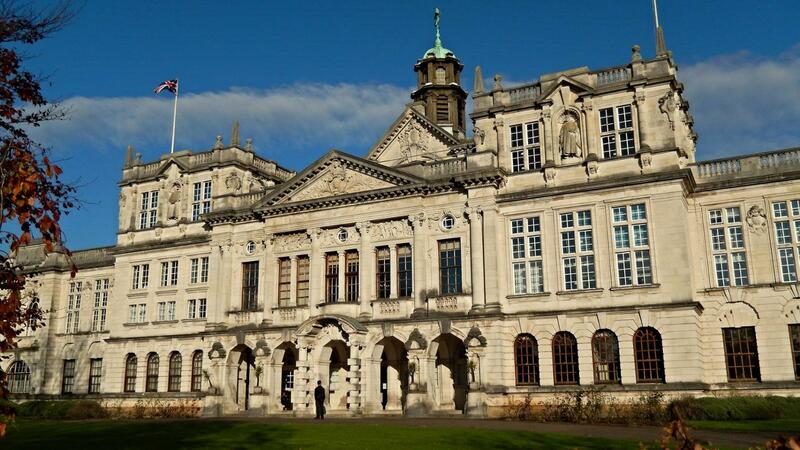 Cardiff University offers Bachelor's and Master's degrees in more than 300 areas of concentrations spread across its 25 Schools, including Business, Law & Politics, Engineering, Architecture, Medicine and others. The research university ranked fifth in overall quality among U.K. universities in the 2014 Research Excellence Framework and boasts two Nobel Prize winners - Professors Sir Martin Evans and Robert Huber. The Business School ranks second in the U.K. for its proportion of world-leading research. The School of Law & Politics is internationally recognized for a vibrant research culture and accomplished staff. The Cardiff website proclaims the School of Engineering to be one of the largest and most successful within the University. The Welsh School of Architecture is ranked among the best architectural schools in the U.K. The School of Pharmacy and Pharmaceutical Sciences is known as a leader in clinical skills development, with an international reputation for teaching and research. The School of Medicine is one of the largest medical schools in U.K. The School of Dentistry is the only dental school in Wales, and features outstanding facilities and world-leading expert faculty. The Cardiff student body includes more than 30,000 undergraduate and postgraduate students from over 100 countries. More than 170,000 Cardiff alumni from at least 180 countries are found throughout the world. What Are Some Social Work College Degrees? How Do You Get a Degree in Animal Behavior? What Universities Offer Master of Library Science Programs?